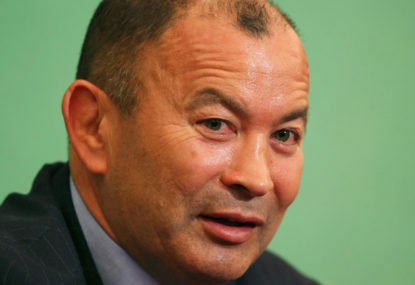 It is predictable and worrying that coach Eddie Jones, supported by the blinkered, blazer-wearing wallahs running England rugby – including the abrasive Rugby Football Union CEO Ian Ritchie – would find Italy’s bold gamble on ruckless rugby somehow an attack on the spirit of the laws. 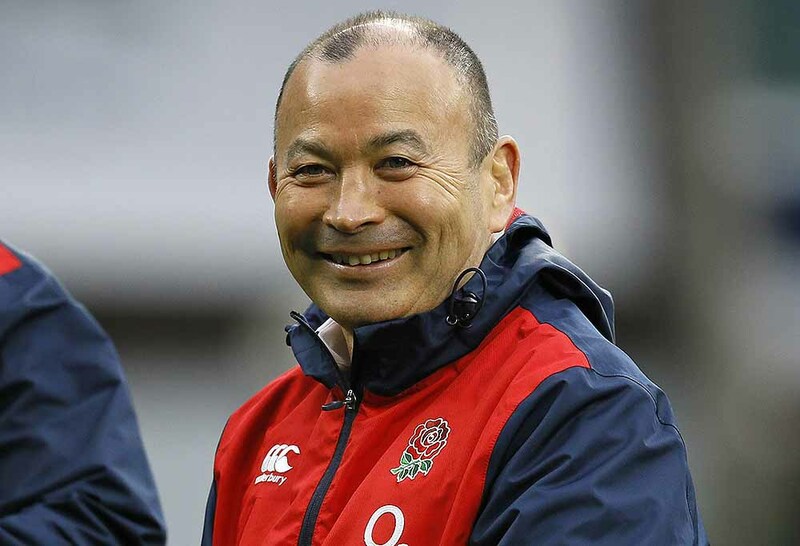 The great strength and great weakness of Jones as a coach is that he is a control freak who has the ambition to reduce rugby to a monotonous series of structured plays, where his team knows exactly how every series of moves must be played. Remember the one-off barging gameplan he imposed on the hapless Queensland Reds in his disastrous year with the squad? There is the story – which is probably invented – that when a Wallaby scored a try in a bursting, 30-metre run, Jones told him after the Test that if did it again, he’d be dropped from the team. The player’s crime was that the planned move called for one more pass to the winger to score! And the planned move had to be carried out no matter what, even when its disruption resulted in the team scoring a try. To balance this out, this control freak aspect to Jones’ coaching has enabled him to turn virtually the same set of players who performed so poorly at Rugby World Cup 2015 into a team that is a couple of victories away from winning the most consecutive Tests by a tier-one rugby nation. The ruckless rugby played by Italy confounded England’s programmed, over-rehearsed and machine-like team. It took a halftime talk to reset their programming and tell the players the obvious tactic of not going to ground in the single Italian tackle. Italy led at halftime 10-5. If they had kicked a couple of easy penalties, the lead would have been larger. It took England only six minutes in the second half to score two tries and grab the result of the Test by the throat. In other words, by staying on their feet and off-loading or driving through in close formations, as they did in the second half, England were able to foil Italy’s tactical gamble. A notable feature of the first half was the total bewilderment of England’s senior players, not even aware that what Italy was doing was legal. As World Rugby notes, the law states that a ruck is formed “when one or more players from each team, who are on their feet, close around the ball on the ground.” If no ruck is formed then there is no offside line. James Haskell’s discussion with the referee, 35 minutes into the first half, will become an iconic moment in Test history. Haskell wanted to know what exactly the law (or in his vernacular, the “rule”) regarding offside at the ruck was. The reaction of the England blazered brigade, too, in demanding a law revision was equally predictable. Since 1895, when the blazers created the circumstances for the UK coal-mining counties to leave rugby and create their own league, thereby starting the rugby league breakaway, every effort to make rugby a more expansive, interesting and innovative game has been resisted. Now they are at it again, with their argument that what Italy did was within the laws of rugby but somehow hostile to the spirit of the game. This is nonsense, as anyone who understands anything about the history of rugby will know. This is an appropriate time to bring Rugby School lad William Webb Ellis into the discussion. 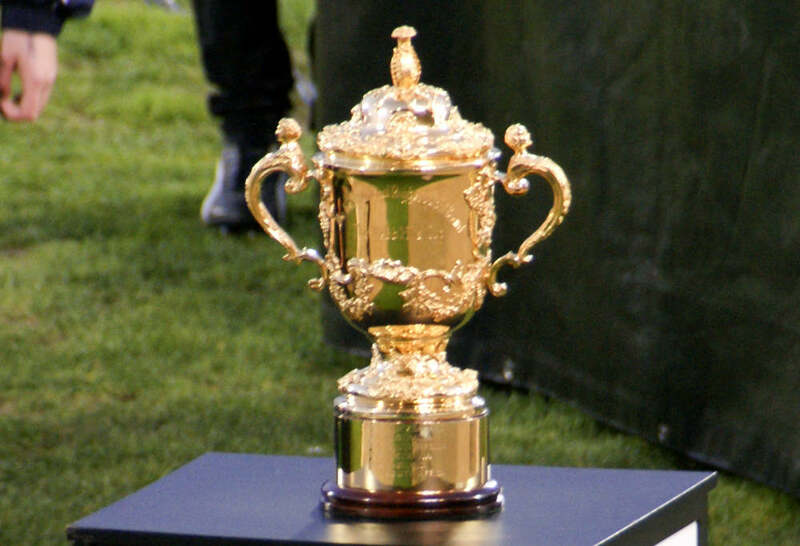 The founding myth of modern rugby’s origin lies in Webb Ellis’ action, in 1823, of picking up a ball and (as his gravestone testifies) “with a fine disregard for the rules of football as played in his time” ran with it, “thus originating the distinctive feature of the rugby game”. A key aspect of the Webb Ellis myth is the notion of a “fine disregard for the rules of football”. Rugby, in the Webb Ellis context, is a clever game where players and coaches are supposed to work their way around, through and past the laws of the game, to give yourself an advantage and put your opposition at a disadvantage. The crucial aspect of what Italy did was totally within the laws of rugby. There is no offside line when there is no ruck. And by not flooding players into the tackle, leaving just the tackler there, Italy avoided creating a ruck. The Italian players played to this law and kept at least one metre away from the breakdown. The Azzuri had been told by Poite that he regarded playing the ball or the halfback when he had the ball from the tackle (both legal in a ruckless play) was “against the spirit of rugby”. But did using this ruckless tactic actually offend the spirit of the game? Andrew Mehrtens pointed out on the Fox Sports rugby program Kick and Chase that the laws are used all the time to thwart opposition play. He instanced charging down a kick. He could have instanced digging for the ball in a ruck to force a turnover, or most of the other defensive ploys teams use, legally, to put their opponents under pressure. The point that is being overlooked by the (mainly British) opponents of what Italy did with its ruckless rugby is that a Test that was going to be a boring walk-over for England became a seminal game in the development of the rugby game as a spectacle. You would think that coaches all over the world will now be going through the rugby laws to see how they can be manipulated to the advantage of their teams. Rather than being “anti-rugby”, as Eddie Jones asserted, Italy should give a boost towards teams playing real Webb Ellis rugby. That is rugby as a game of wit, cleverness, skills and brains, as well as brawn. It was Haberecht who invented the ‘up the jersey’ ploy. He got his Country representative side to line up for a penalty with their backs to their opposition. One player stuffed the ball up his jersey. The rest of the team placed their arms up their jerseys. At a signal, all the players turned on their opponents and sprinted towards the try line. The opposition did not know who to tackle and Greg Cornelsen cantered away for a try. In contrast to the English reaction, All Blacks assistant coach Wayne Smith praised Italy’s tactics: “I think Conor [O’Shea] has shown some thinking outside the box and they’ve been courageous enough to have a crack because there are lot of potential flaws, and not every referee will be in favour of it. I would think from this comment that the All Blacks are likely to confront the British and Irish Lions with the tactic from time to time. In Super Rugby, the Chiefs used the tactic from long kick-offs in past seasons. They also detached their forwards from opposition driving mauls, a ploy that enabled them to bring down, legally, a driving maul. Before the 2017 Super Rugby season, Wallaby great Tim Horan called on the Australian teams to show more flair and innovation in their play. Horan’s call went unheeded in the first round. It is sad to see the Brumbies, for instance – a team that created so many new, interesting, provocative plays, including the second line of attackers system (which was criticised by English coaches and pundits) – play with such dourness on attack (except for one long-range, ensemble try) against the Crusaders. With Daryl Haberecht and Rod Macqueen, Australian rugby had two coaches who pioneered new, exciting plays that, in the spirit of Webb Ellis, showed a fine disregard for the conventions of play at the time. Surely this very Australian concept of a “fine disregard” for the laws will be reflected in some of the surprise plays of the Western Force, Waratahs, Reds, Rebels and Brumbies in the second round of Super Rugby 2017?